I've seen those new Squier Mustangs, has anyone played one enough to know if they're worth it? I know they're super cheap, but if they're not even half decent then that's a deal breaker. I've got 10 other guitars and none are shortscale so I'm looking for an easy entry first one. I've just bought a Squier Mustang VM having previously bought and been happy with a Jaguar VM. Build quality is very good, frets finished well etc (Ihaven't taken a look at the pup cavity yet but if its the same as the Jag there's plenty of shielding paint.) Pots are Alpha mini's - which are quite good quality. Sounds - just like a Mustang should - sort of like a more trebley strat. Playability is excellent - the neck is fatter than I normally like (more so than the Japanese reissues) but I had no trouble adjusting even with my arthritic hands. A word of warning for all Mustangs with the traditional trem - it must be set up with care - there is a guide on this site which takes the pain away. When you get it right it is much more sensitive than a Strat type Trem. If you mean the new Squier Bullet Mustang then they are the low point of the Mustang series. 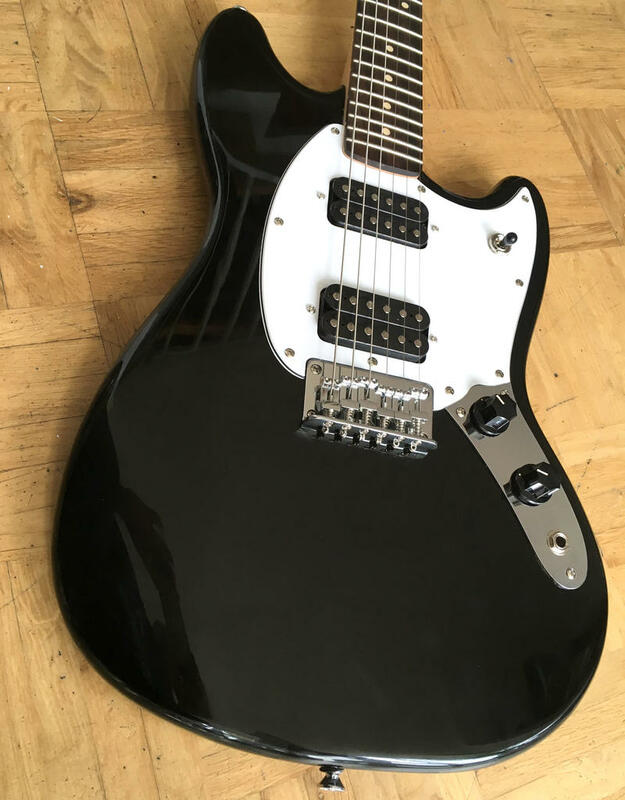 I saw and tried one out for s&g last week and they are nowhere near as well made as the VM Squier Mustangs and miles away from a Fender Mustang. I own two Fender Mustangs and a VM Squier Mustang so I can compare and recognize the differences. The Squier Bullets have no vibrato/trem, the saddles and bridge are junk, they have low end pups and have really cheap tuning machines. Then neck is basically unfnished. That being said, they would be a good platform for modding or building your own. The VM pickups are not that trebly, they're high output and darker than vintage Mustang pickups. They're still great pickups though. The Bullet Mustang ist great right out of the box. Hardware is absolutely ok, the Pickups are great.